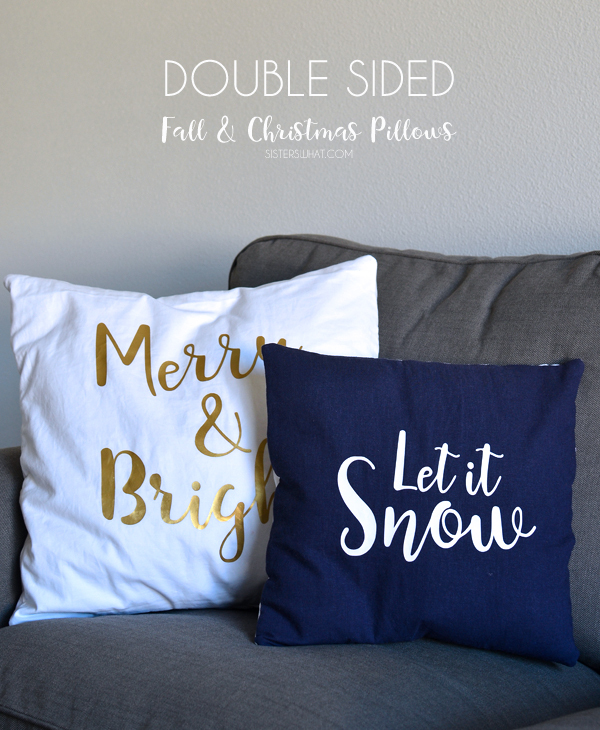 ' Double Sided Fall and Christmas Pillow Tutorial - Sisters, What! Ahhh...how it is already fall?? Last year I was totally ready for fall, but this year it kind of just happened. 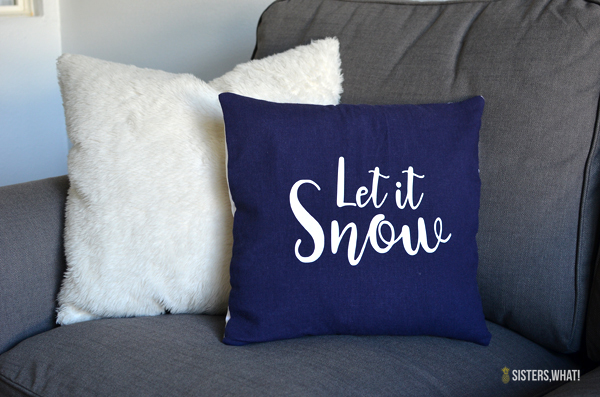 Well, once I accepted the fact that it was here and that my oldest was going to Kindergarten), I couldn't help but make some pillows to get it started. 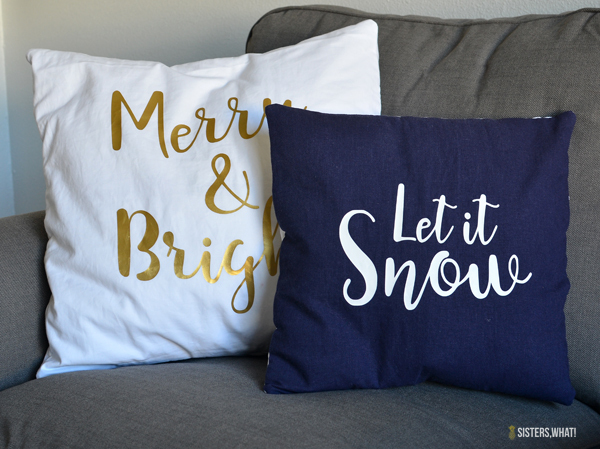 These pillows were fun and quick. 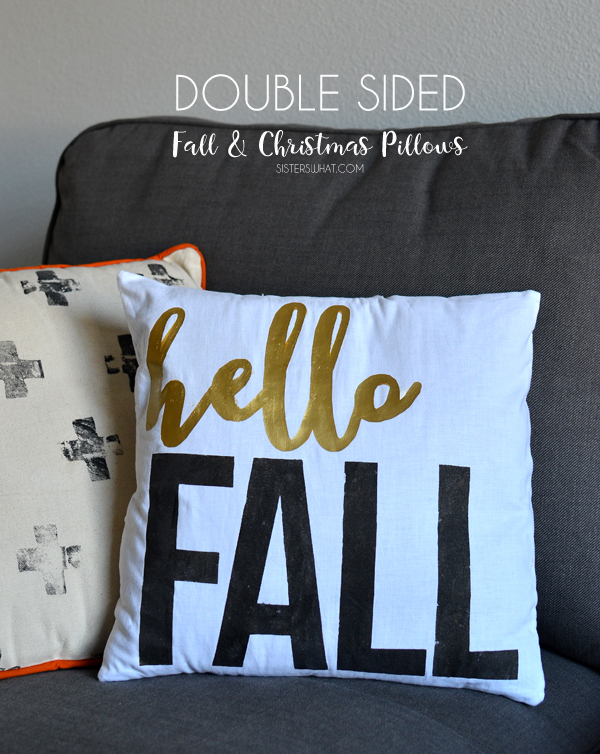 My favorite part is that they are double sided envelope pillows that can be turned inside out to be used for fall!! 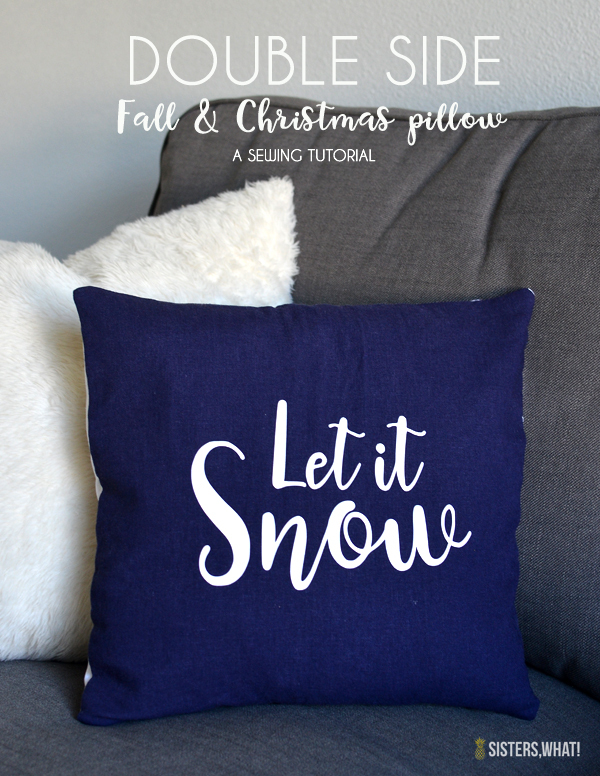 Hello Fall turns into Let it Snow!! And thankful and grateful turns into Merry & Bright. I love killing 2 birds with one stone, especially for decoration and fall and Christmas decoration is the perfect time to do this. And it is super easy to do! 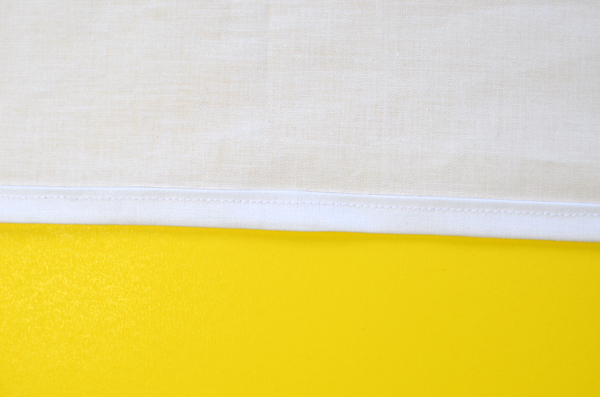 1|| Measure one side of your pillow form (my pillow is 18x18). Then add on 1/4 of an inch (for the seam allowance) and cut two squares. 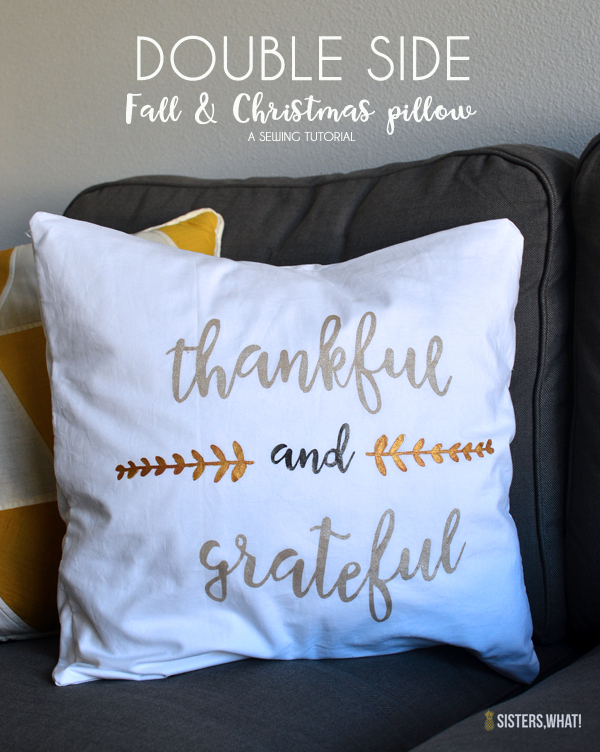 We're going to make an envelope pillow, so for the back of the pillow you will need two pieces. 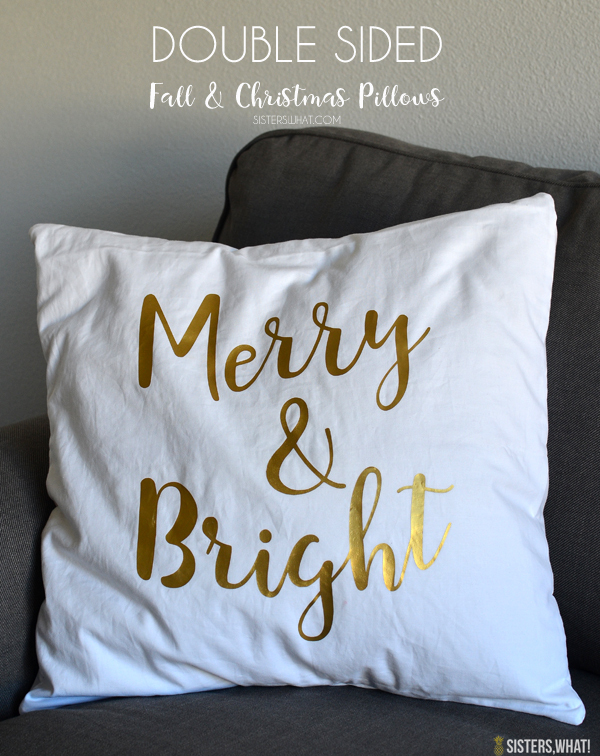 Cut two pieces at the same height as your pillow but only 3/4's the width. 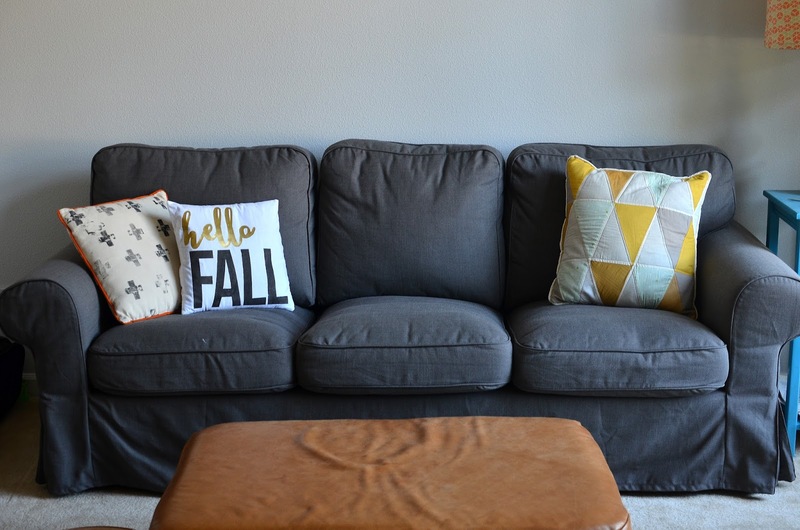 For example: if the pillow is 12x12 then the two back pieces each need to be 12x9. Now to one of the long side of each back piece finish the seam. As you can see below. I simply folded the edge 1/4 inch over twice, ironed then sewed. Now on to your two sides of the pillow. 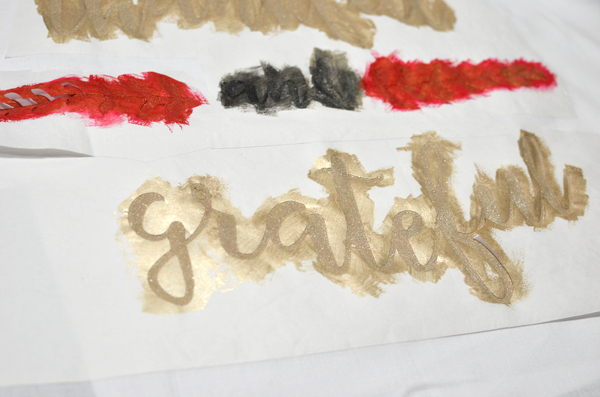 I wanted the painted look for my fall designs, so I went with the freezer paper method. 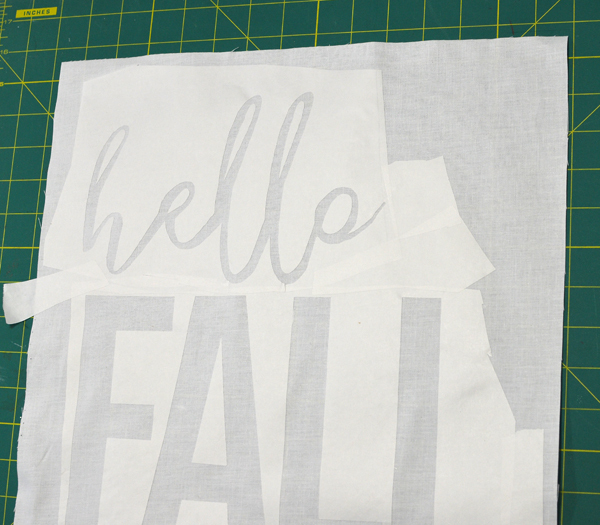 I cut my design out on my silhouette cutter (shiny side down on the mat) then ironed it on to the fabric. If there were any gaps showing the fabric, I simply ironed extra freezer paper. 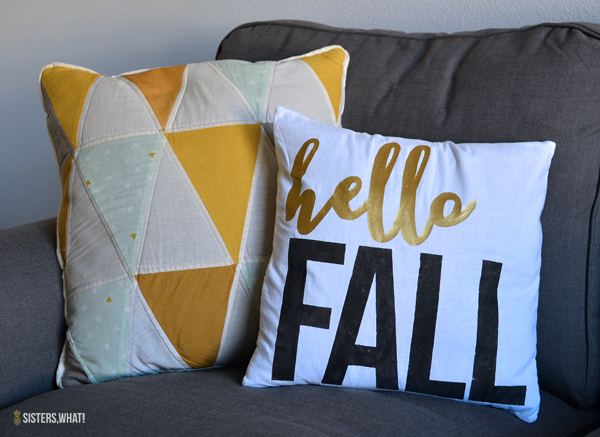 I tried for the first time using targets Hand Made Modern paint, and I'm a big fan for using it on fabric. However for the hello fall pillow, I had a mishap with the paint and ended up using HTV gold to cover up the paint. As you can see on my thankful and grateful pillow, the paint went on very nice and not thick. Ok, let that dry and now we're ready to sew it. 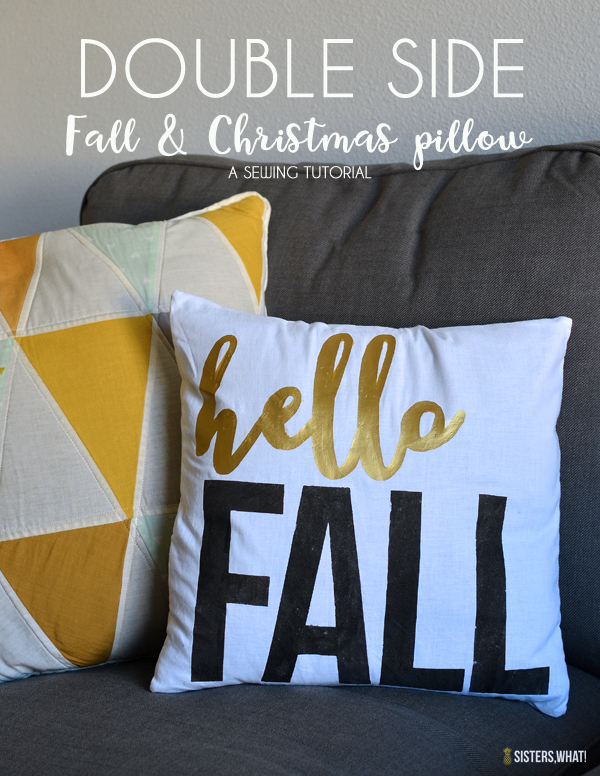 I thought I'd save everyone a headache and show you how to make the rest of the pillow with a video. Not the greatest of videos, but it should show you what you need to do (if you have any questions, just leave a comment).